Inspectors have a crucial, if unheralded, position in many industries to protect lives and property. Regardless of industry, inspectors are often stereotyped as uptight sticklers who exist solely to make other people’s lives miserable. Of course this couldn’t be further from the truth, Rather, the safety of tens of millions of people around the U.S. is dependent on the knowledge, competence, and diligence of these eagle-eyed professionals. They safeguard our food and water supplies against a myriad of threats; they certify that our bridges, tunnels, and roads are safe to travel upon; and they ensure that hospital equipment, such as medical gas systems, are ready to serve their life-supporting roles. Each day, inspectors perform their duties without fanfare, steadfastly remain alert to hazards that could otherwise threaten the lives or property of American citizens and businesses. An example of an inspector’s importance occurred earlier this year on the Delaware River Turnpike Bridge, a major span connecting the states of New Jersey and Pennsylvania. While performing bi-annual checks, inspectors discovered complete fractures beneath the roadway on the superstructure. The bridge was immediately shut down and emergency repairs were begun to erect reinforcement columns which would stabilize the structure. Amazingly, and to the relief of the many commuters who rely on this bridge daily, such repairs were completed in just seven weeks. This structure carries over 40,000 vehicles daily, and so it makes one shudder to think of the alternative consequence. Unfortunately, our nation has encountered such a tragedy before, evidenced by the collapse of the I-35W bridge over the Mississippi River in Minneapolis (2007). This bridge’s deficiencies were well-documented, and yet 13 people perished as a result of the collapse. 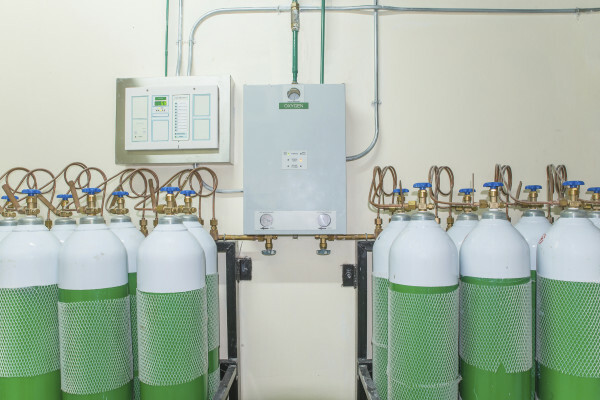 The American Society of Sanitary Engineering (ASSE) developed the Series 6000 Standard, which has become the industry standard, for medical gas systems personnel. In the case of their Medical Gas Inspector 6020 certification, it provides municipalities and employers alike with qualified individuals who have successfully demonstrated competencies within their field. Medical Gas Inspectors are required to have a general knowledge of any applicable laws, codes, listing agencies, and/or regulations at the federal, state, and local level as they pertain to medical gas and vacuum systems. Additionally, they should possess knowledge of product performance, systems and system component testing, documenting and recording, and medical gas terminology. Candidates seeking their Medical Gas Inspector 6020 certification will want to ally themselves with an organization that has the knowledge and the reputation to properly administer and certify personnel… National Inspection Testing and Certification (NITC) is that organization. Therefore, whether you’re a training director, association representative, employer representative, or an individual applicant, we’ll be there to help you along the way. Contact NITC at (877) 457-6482 to learn more about how our products help prepare the best, most reliable, and safest trade professionals possible through our wide range of industry certifications, all the while helping you exceed customer expectations in the process. Have your personnel certified with the certification company, National ITC, today!